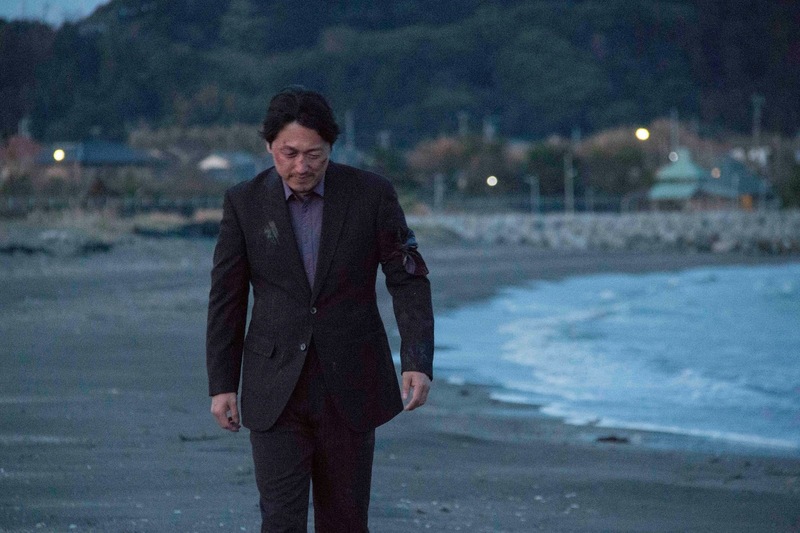 “He is guilty…he is not guilty…he is guilty…he is not guilty.” Watching Norichika Oba’s new film “Cyclops” feels like a game of “He loves me…he loves me not” – an emotional journey that puts you in a highly thrilling state of uncertainty. After 14 years in prison for murdering his wife and her lover, Shinohara gets released. Detective Matsuo, who was in charge of the case, confesses to him that he was set up by a young yakuza boss, Zaizen. Together with the policeman and his grass Nishi, Shinohara plans his revenge. While learning how to shoot and getting ready to kill Zaizen, the main protagonist starts suffering nightmares about his wife’s murder, but at the same time, he finds peace when he meets her ghost. Besides the revenge story, “Cyclops” creates a second plot evolving around Shinohara’s feelings of guilt, pain and love. His violent character is impeded by his desire for human company, which is eventually fulfilled when he meets a woman called Haru, who is the spitting image of his late wife. One may think that the described outline would already make an explosive story. But Oba takes it one step further. In the course of the movie, everything begins to fall apart. 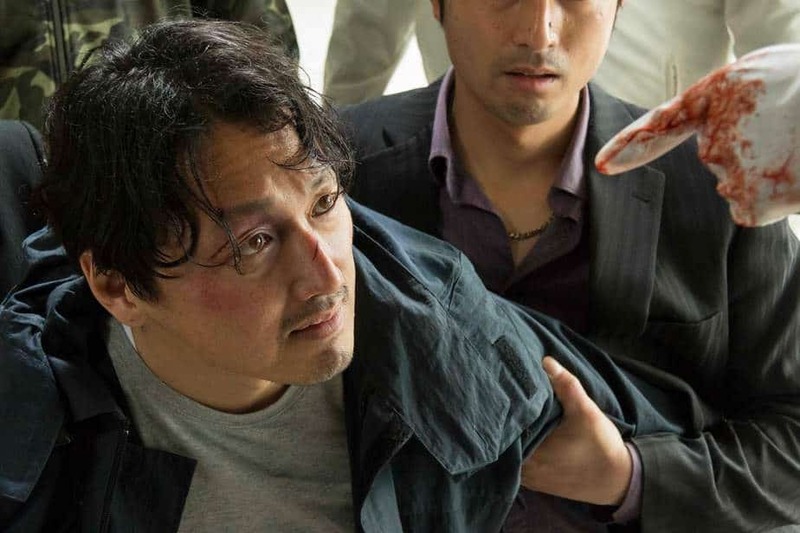 The obvious facts, the fait accompli, which seem to be presented by the film from the very beginning, vanish and thereby the viewers trust in Shinohara’s innocence crumbles. Who is guilty and who is not? The script is realized in a neo-noir stylistic way. We see a lot of synthetic light sources, rich in contrasts. Day versus night, black against white and a lot of blue-reddish colors. It seems like the shading tries to capture a certainty or tries to establish a clean classification, which ultimately cannot be done. This follows the impenetrable structure of characters like Haru, who represents the classic femme fatale. The camera work, done by Yukari Kawano, is also worth mentioning. Many of her shots evoke the impression of paintings. The illusion of the three-dimensional movie screen scatters and result in one-dimensional cinematography. By simulating the perceptive habits of a one-eyed person, the camera somehow complies to the title, “Cyclops”. This extends the mythological meaning of the Cyclops, which can be, in the first place, interpreted into the role of Shinohara and his love interest. Besides the optical layer, Oba also works with interesting sound elements. One example can be found in the repeating use of tension building via atmospheric music. In these scenes, the acoustic promises a climax, that is suddenly interrupted by an intra-diegetic sound effect (like a ringing cell phone). The audience knows that an incipient conflict is about to explode, but by using this technique “Cyclops” manages to keep up a maintaining suspense. Light, camera, and sound support the strong performance of the actors. Shinohara, played by Mansaku Ikeuchi (“The Ravine of Goodbye”, “Villain”), is a gentle giant full of grief and psychopathic anger. His inner conflict and the moral dilemma about the decision to kill a human being is depicted convincingly and gives insight into a spiritual abyss. Nevertheless, the main character is fragile and marked by compunction. Director Norichika Oba worked as a freelance assistant director on Hiroshi Nishtanis mystery-thriller “Suspect X” and the love drama “Hirugao”. He was also working on Hideaki Anno’s “Shin Godzilla”. Clearly enough experience to even surpass the success of his first movie “Nora” from 2010, which was awarded at the Tama New Wave and Tanabe Benkei Film Festival. “Cyclops” constructs a deep web of entanglements and plot twists. From the beginning to the end it never stops to surprise the audience, while simultaneously retaining a calm attitude. This already earned “Cyclops” the Governor of Hokkaido Prize and the Cinegard Award at the Yubari International Film Festival.